Be sure to see our 3 special offers! IndoExcursions is an immensely lucky collection of people who actually travel Indonesia for a living! It's is our job (quite literally) to poke below the surface and find hidden Indonesian treasures wherever they can be found. We navigate the best choices to create luxurious journeys for the discerning traveller. We pair you with stellar guides, put you up in the finest hotels, and take you to marvelous restaurants. Then we whisk you off to interesting sites, to unusual local ceremonies, to meet intriguing characters, breaking away from the ho-hum, the ordinary, the everyday. Call us “Old Fashioned.” We take that as a compliment, because that's how we do things. We believe a traveller is entitled to experienced counsel, faultless arrangements and seamless logistics. And we won't put you in a hotel we ourselves haven't stayed in. Creating exceptional travel requires undivided attention and the exacting collation of details and arrangements. Our travel specialists stand ready to take that burden off your shoulders and onto theirs. Allow us to save you the trouble. Time is likely your scarcest commodity. Whether you choose to join us for our entire 27-Day Cross-Indonesia Tour Package or opt for only a portion of the holiday tour, there's one thing we're certain of : your journey with us will be a rewarding one. Join us for the adventure of a lifetime. Explore the furthest reaches of the world's largest archipelago, and discover, for yourself, the stunning natural landscape and enchanting allure of exotic Indonesia. Me and my friend were looking to spend our holiday in a tropical spot. We decide that Indonesia is our destination. Then we start to look for all-in-one service and hassle-free arrangement. We found it! We started to get in touch with them . 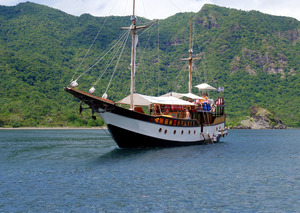 . . and take their 27 days offer to visit Borobudur, Yogyakarta, Tana Toraja, Bali, Lombok and the superb Komodo-Flores liveaboard. More than words, IndoExcursions does the job! Well done! Sprawling across the equator for nearly 5,000 kilometres, the 17,000 islands of Indonesia form one of the most evocative countries on earth. On this fascinating 22-Day Hosted Expedition, (limited to 8 participants) travellers visit the exotic islands of Java, Sulawesi, Bali, and Lombok, exploring their azure waters, slumbering volcanoes, towering temples, lush tropical forests and untouched coastal marine habitats. The expedition is designed exclusively for discerning travellers who are seeking a seamless and luxurious journey, filled with intellectual experiences and rich in insider experiences. We pride ourselves on demanding only the highest calibre of service delivery, and have carefully crafted tours that include only the most outstanding accommodation partners, avoid the well-beaten path taken by traditional tour operators, and showcase a side of Indonesia you're not likely to discover on your own. 27-Day Cross Indonesia Travel Tour Package Sprawling across the equator for nearly 5,000 kilometres, the 17,000 islands of Indonesia form one of the most evocative countries on earth. On this fascinating 27-Day Hosted Expedition, (limited to 8 participants) travellers visit the exotic islands of Java, Sulawesi, Bali, Lombok and Komodo, exploring their azure waters, slumbering volcanoes, towering temples, lush tropical forests and untouched coastal marine habitats. The expedition is designed exclusively for discerning travellers who are seeking a seamless and luxurious journey, filled with intellectual experiences and rich in insider experiences. 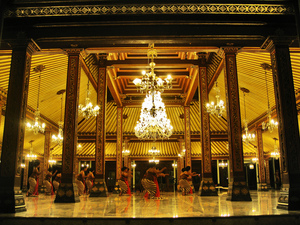 We pride ourselves on demanding only the highest calibre of service delivery, and have carefully crafted tours that include only the most outstanding accommodation partners, avoid the well-beaten path taken by traditional tour operators, and showcase a side of Indonesia you're not likely to discover on your own. 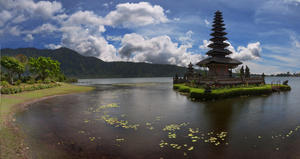 17-Day Indonesia Trip - including Bali and Jogja Sprawling across the equator for nearly 5,000 kilometres, the 17,000 islands of Indonesia form one of the most evocative countries on earth. On this fascinating 27-Day Hosted Expedition, (limited to 8 participants) travellers visit the exotic islands of Java, Sulawesi and Bali, exploring their azure waters, slumbering volcanoes, towering temples, lush tropical forests and untouched coastal marine habitats. The expedition is designed exclusively for discerning travellers who are seeking a seamless and luxurious journey, filled with intellectual experiences and rich in insider experiences. We pride ourselves on demanding only the highest calibre of service delivery, and have carefully crafted tours that include only the most outstanding accommodation partners, avoid the well-beaten path taken by traditional tour operators, and showcase a side of Indonesia you're not likely to discover on your own. Is IndoExcursions your company? Register to get access. You can get access to the Trips listed on TravelDragon, allowing you to add/edit your products. Register to get access if you'd like to add or edit Trips for IndoExcursions.